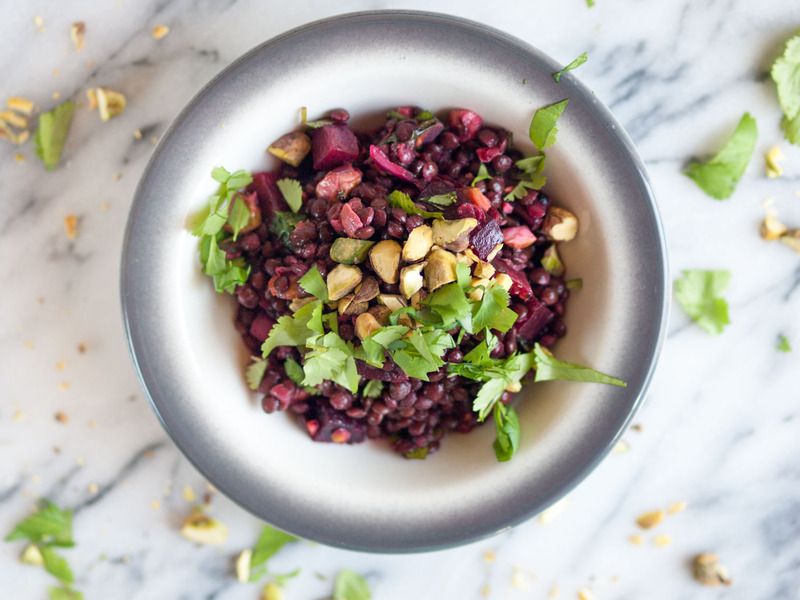 Because it’s still root vegetable and citrus season, and because I’m always looking for more ways to add lentils to my diet, I give you this vibrant salad. Phil and I enjoyed it for dinner the other night, along with some roasted potatoes and grilled asparagus. I think it would also be really tasty (and make for great potluck/picnic fare) combined with something grainy, such as quinoa or farro. *Optional: Before cooking lentils, soak them in hot water with a bit of lemon juice or apple cider vinegar. I soaked mine for 5 hours. This makes them more easily digestible and reduces their cooking time, too. *I also like to soak the chopped red onion in (cool) water while I prep the other ingredients. This helps tame its sharpness. 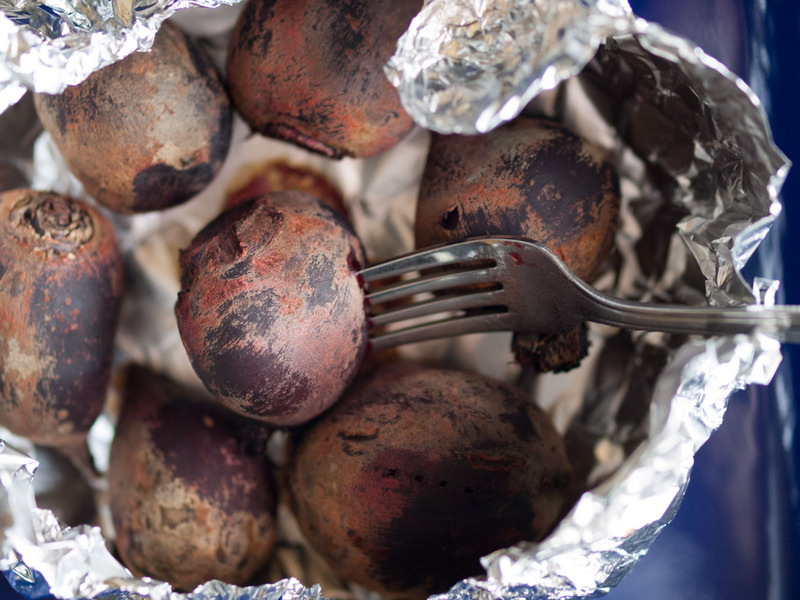 Preheat oven to 425 degrees F. Wrap beets in foil, place in an oven safe dish, and roast for about an hour, or until they can be easily pierced with a fork. Let cool, then peel and dice small. Place lentils and kombu (if using) in a pot, and cover with about 2 inches of water. Bring to a boil, then reduce heat and simmer, covered, until done (but not falling apart). Cooking time for the lentils will vary, depending on freshness and whether or not they’ve been soaked. My presoaked lentils were done in 15 minutes. Lentils that haven’t been soaked will take longer, closer to 30 or 40 minutes. So be sure to keep an eye on them and check regularly for doneness. Once cooked, drain (and discard kombu), give a quick rinse, then toss with 2 tsp of apple cider vinegar and season with salt and pepper. Let cool completely. 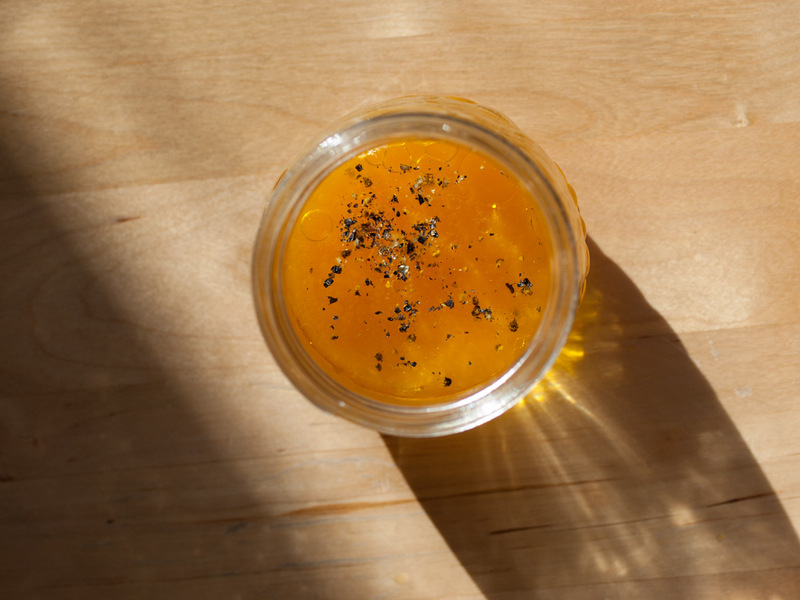 To make the dressing, whisk together or shake in closed jar the olive oil, orange and lemon juices, and some salt and pepper. Combine lentils, beets, dressing, and red onion, and season with salt and pepper. Top with pistachios and herbs. Taste for seasonings; you may wish to add more orange or lemon juice. This entry was posted in Salads and tagged gluten-free, vegan, vegetarian on March 14, 2016 by Sarah. Shifting toward spring. 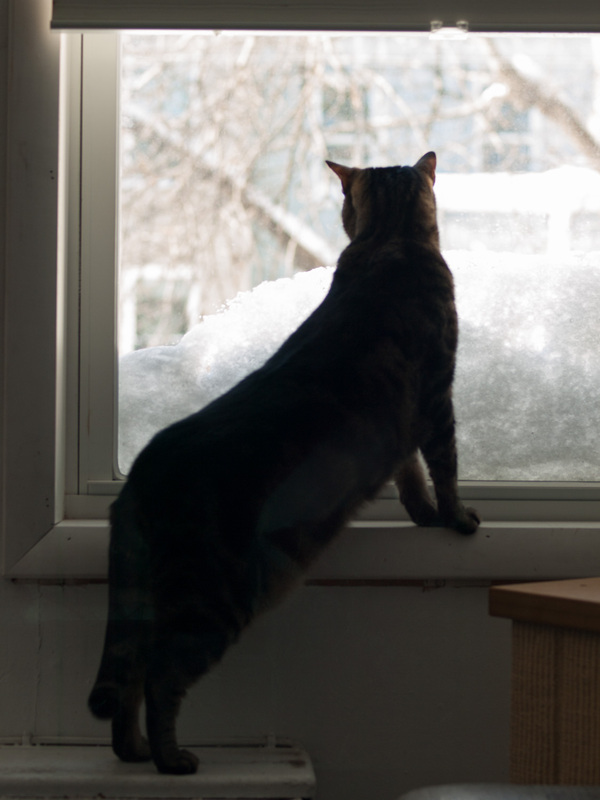 It’s been warm and cold, windy, sunny, rainy, occasionally snowy. For me, there’s been lots of happy and there have been days where anxiety is hard to shake. Contributing to the latter are all sorts of stresses, both big and small picture. There’s personal stuff, like the fact that our (very elderly) landlady just passed away about the same time that our lease [to an affordable apartment in an extremely unaffordable neighborhood city] expired. And there are things like this country’s frightening current political atmosphere, which, while amusing, is getting more and more unnerving every day. Laughter helps, as does qi gong, music (latest obsessions: Courtney Barnett, the new Animal Collective, and this dreamy version of The Chemical Brothers’ “Wide Open”), dates with my friends and my man, and good food (bet you knew that one was coming). *Precooking the tempeh helps to tame its bitterness as well as prep it for soaking up all that good marinade. 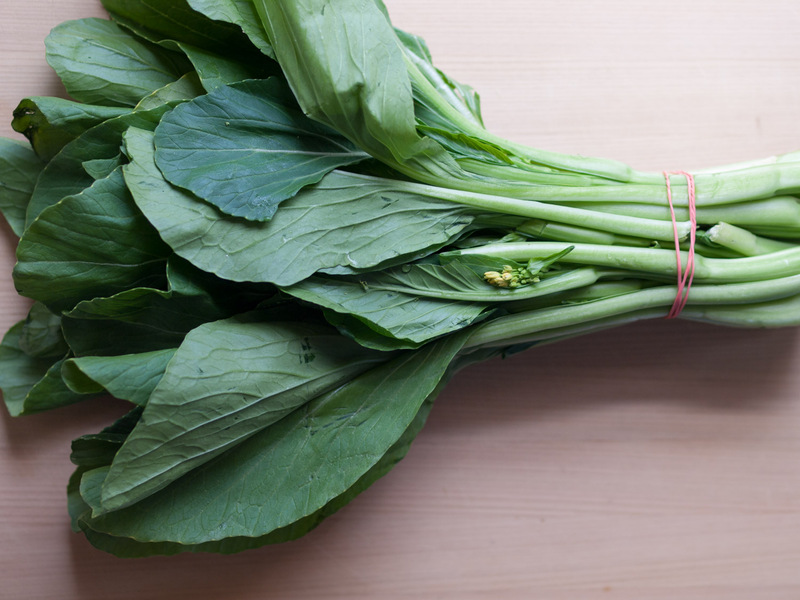 *Feel free to substitute bok choy if you can’t find yu choy. Place tempeh slices in a saucepan and cover with water. Cook over high heat until boiling, then cover with lid, reduce heat, and simmer for 10 minutes. Drain and place in a shallow bowl. Whisk together or shake in closed jar all of the marinade ingredients. Pour over tempeh and toss gently to coat. Let sit for one hour. 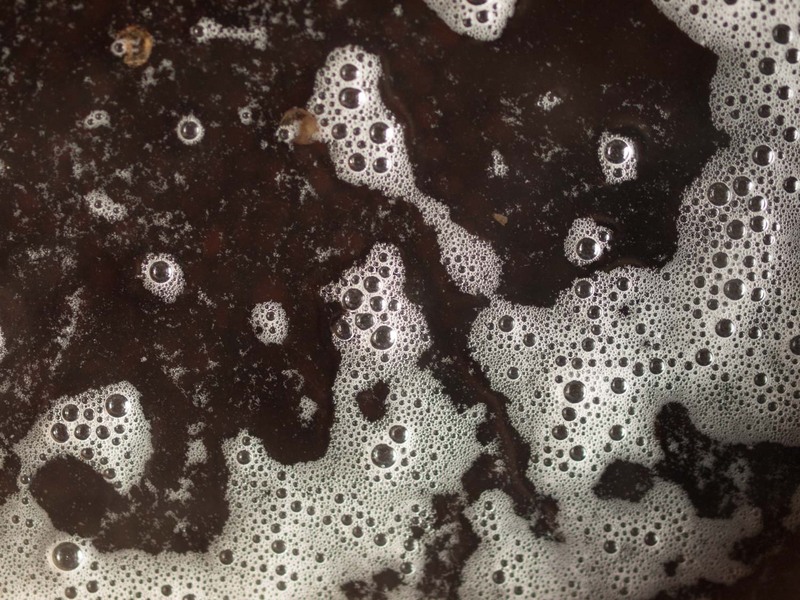 Heat ½ tsp of oil in a large pan over medium high heat. When hot, add tempeh. I strongly recommend using a splatter guard here. 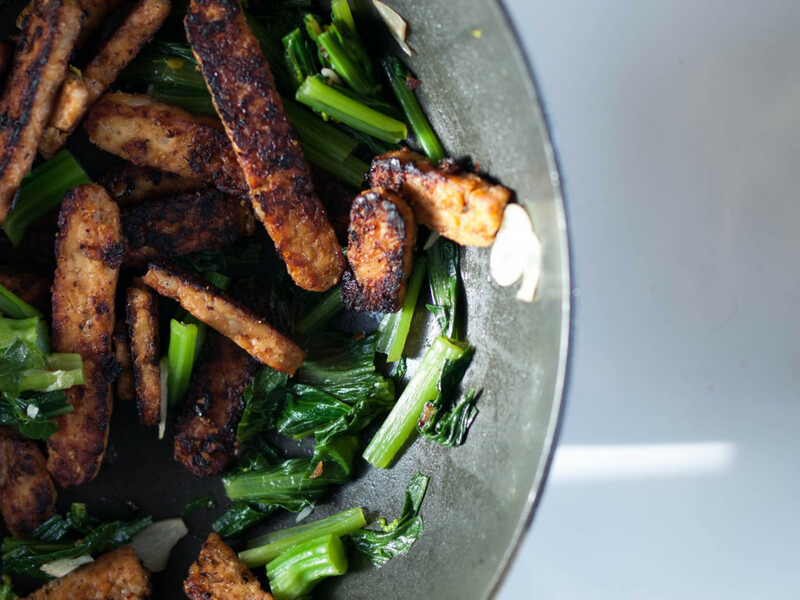 Let tempeh cook, untouched, for about 3-4 minutes, or until crispy. Flip over all the pieces (turn down heat while you do this) and let cook for another 3-4 minutes. Set aside. Let the pan cool a bit and give a quick wipe. Heat ½ tbsp oil in the pan over medium heat. Heat the garlic and red pepper flakes for a minute or two, until fragrant. 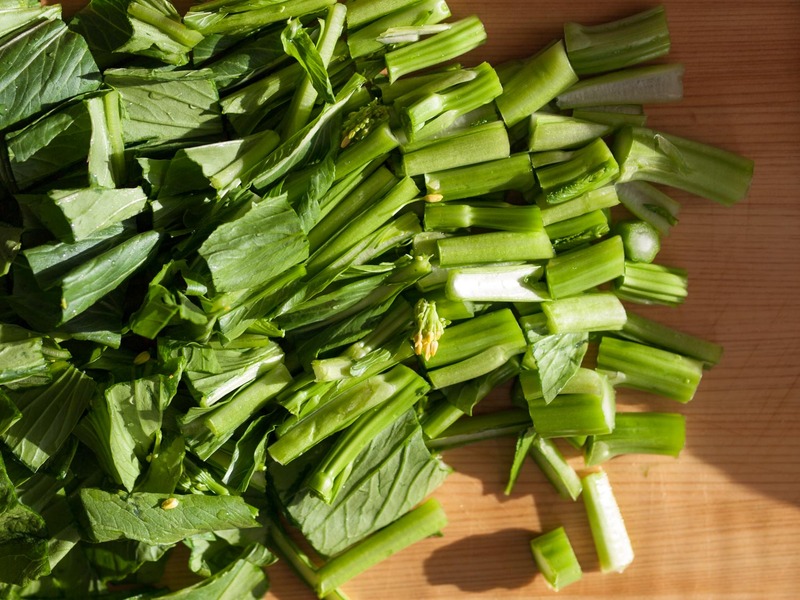 Stir in the yu choy. Add the vegetable broth, cover, and turn up the heat some. Let cook for about 4 minutes, stirring occasionally. If the yu choy, starts to dry out, add a bit more broth. Remove lid, stir in tamari, and let cook for another minute, then add the tempeh. Break some of the tempeh pieces a little as you stir. Serve over rice if desired. This entry was posted in Mains and tagged vegan, vegetarian on March 6, 2016 by Sarah. Happy February, friends! 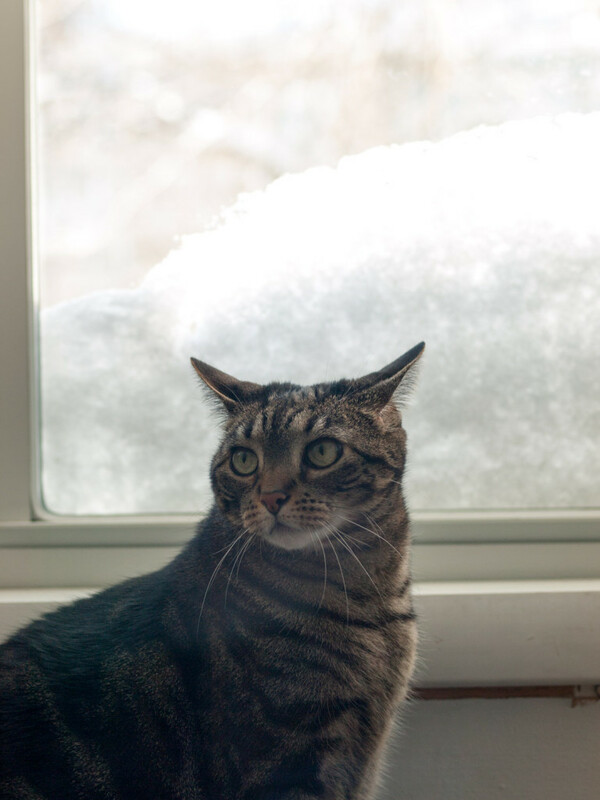 Temperatures have been mild (sometimes disconcertingly so), the sun is shining, and Punxsutawney Phil has just declared an early spring this year. We’re moving forward: a fact made apparent by that tiny increase of light each evening. 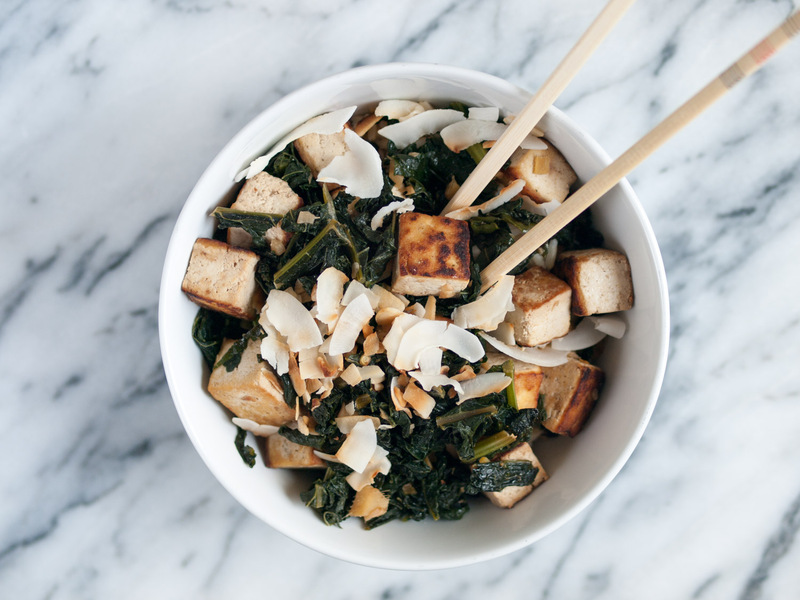 This stir-fry combines kale, pan-fried tofu, garlic, and ginger, along with toasted coconut for a bit of crunch and buttery richness. It’s savory and a little sweet, warming, and very nourishing. Set a large pot of water over high heat. Once boiling, add kale to the water and cook for about 7 minutes, stirring occasionally, until softened but not mushy. Drain in a colander and rinse with cold water. Heat coconut flakes in a dry frying pan over medium heat for about 3 to 4 minutes, stirring fairly frequently, until just starting to brown. Remove from heat and set aside. Pat tofu with a couple paper towels. Cut into 1” cubes, then pat again to soak up extra moisture. Heat ½ the oil in a large frying pan/wok/skillet over medium high heat. 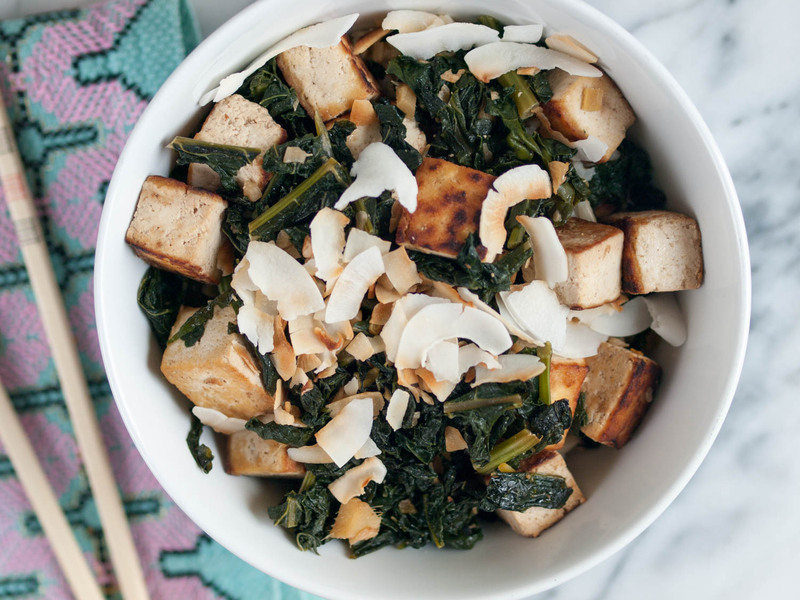 Add tofu cubes, sprinkle with garlic powder and coconut sugar, and stir gently to distribute seasonings. Then let cook– without touching, so it can crisp up– for about 5 minutes. 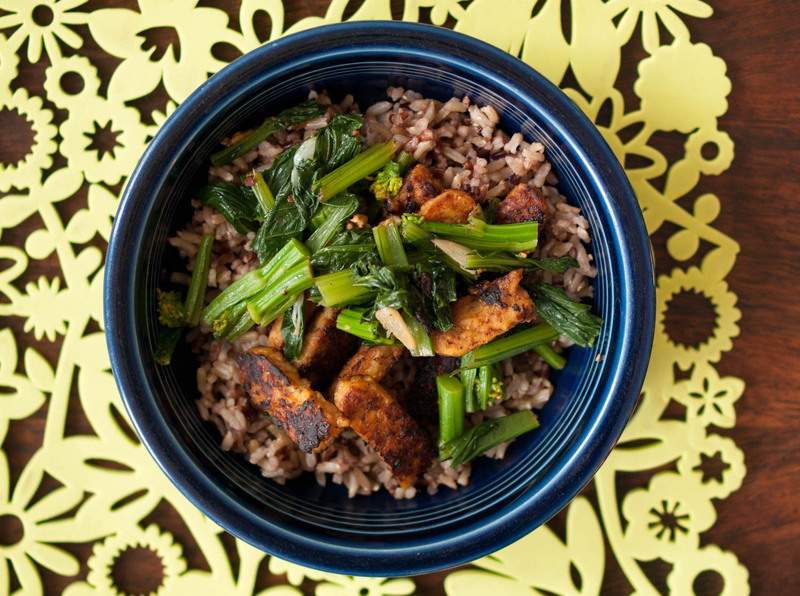 Turn down the heat (just for your own safety), carefully flip over the tofu, and splash with 1½ tsp of tamari. 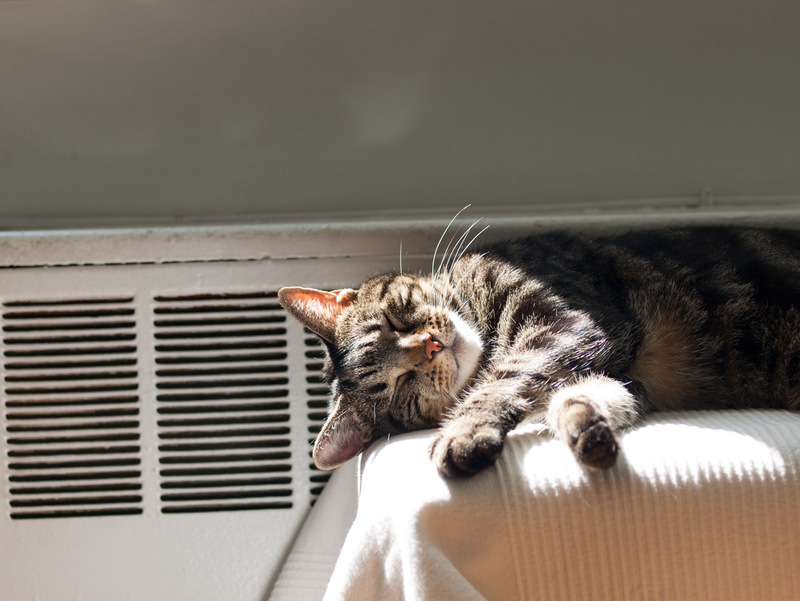 Turn heat back up, and cook (without touching) for a few minutes more. Turn off burner and transfer tofu to another dish. Let the pan cool a little bit, then give it a gentle wipe with a paper towel to remove any blackened bits. Heat the rest of the oil in the pan over medium heat, and add the garlic, ginger, and red pepper flakes. Cook for about 2 minutes, stirring frequently, until fragrant. 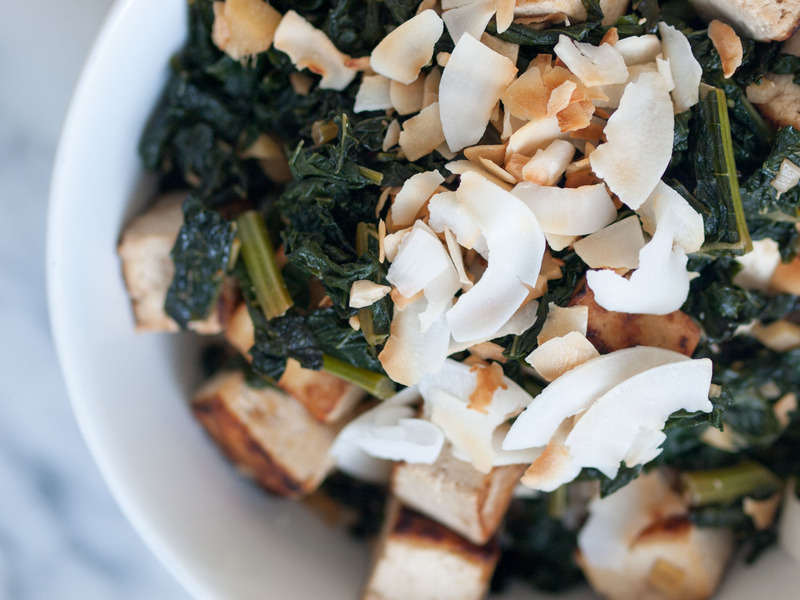 Stir in cooked kale, then add 1½ tbsp tamari. Cook for about 5 minutes, stirring now and then. Add tofu and cook for another minute or two. Taste for seasonings. 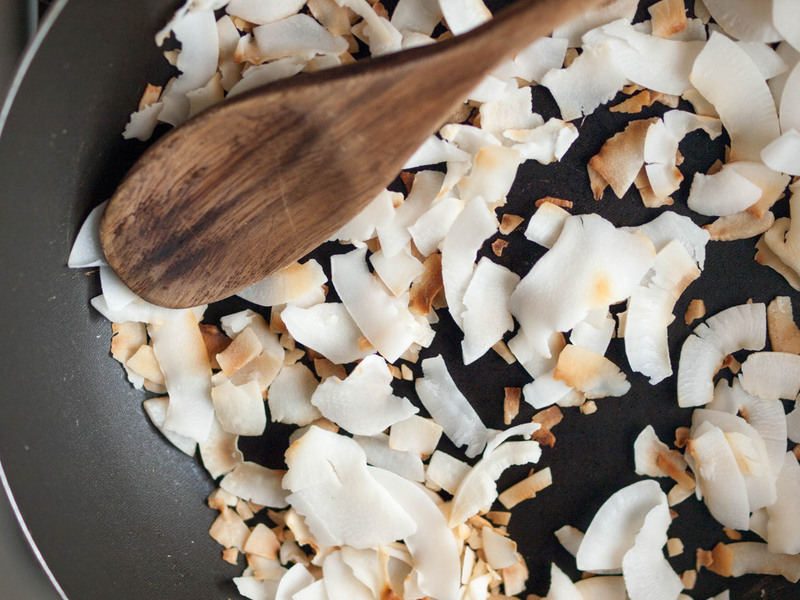 Serve over rice (if using), topped with toasted coconut flakes. 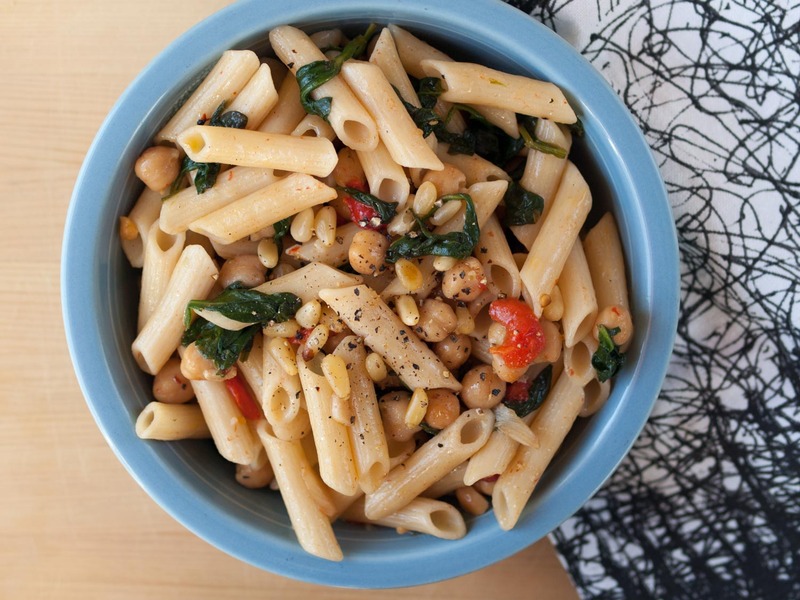 This entry was posted in Mains and tagged gluten-free, vegan, vegetarian on February 2, 2016 by Sarah. Some time off from work recently meant more time to play in the kitchen. Unfortunately, most of my experimentation yielded disappointing results. First, there was the smoothie that just wasn’t good (it involved cocoa butter). Then there was the kuri dip that never came to be. The recipe sounded so great in my head and I was eager to finally roast the beautiful red squash that had been sitting around in my kitchen for the last few weeks or months. But apparently winter squash does not actually last forever. After I cut it up and roasted in in olive oil and tasted it, I realized that no amount of spices would mask the bitterness. So into the compost bin it went. Then the next day, Saturday, I screwed up toffee cinnamon oatmeal cookie bars. I still want to try them again, but next time I’ll use almond flour like the recipe calls for and not ground almonds (too coarse). I should also probably get an oven thermometer. Anyway, that night, after a mini adventure of climbing over snow banks and trudging through blizzard winds to check on the car, I decided to keep dinner simple. And it was just right. Meanwhile, drizzle some olive oil into a large pan and cook garlic and red pepper flakes over medium low heat for a few minutes, watching closely and agitating frequently, until fragrant. 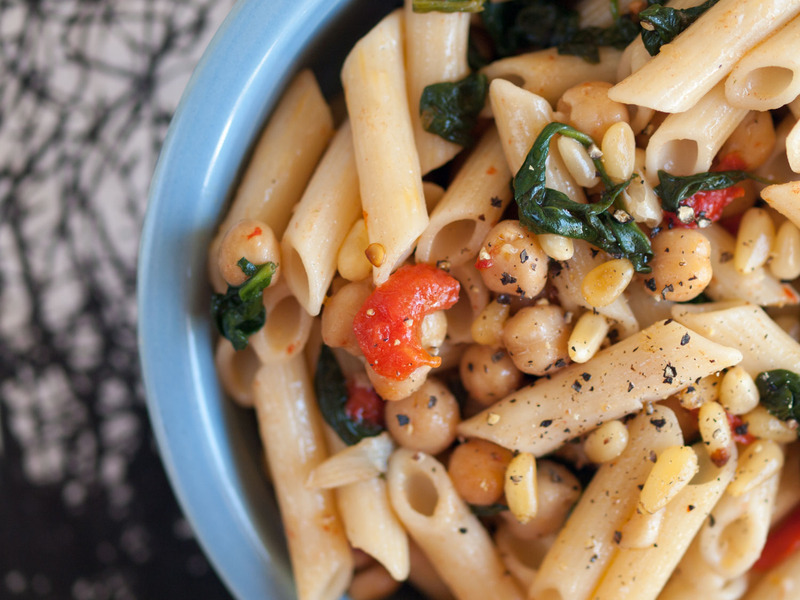 Stir in roasted red peppers and spinach, turn up the heat. Cover and cook for about a minute or two to let spinach wilt. Remove lid, lower heat, and stir in chickpeas. Cook for another couple of minutes. Season with salt and black pepper and a squeeze of lemon. 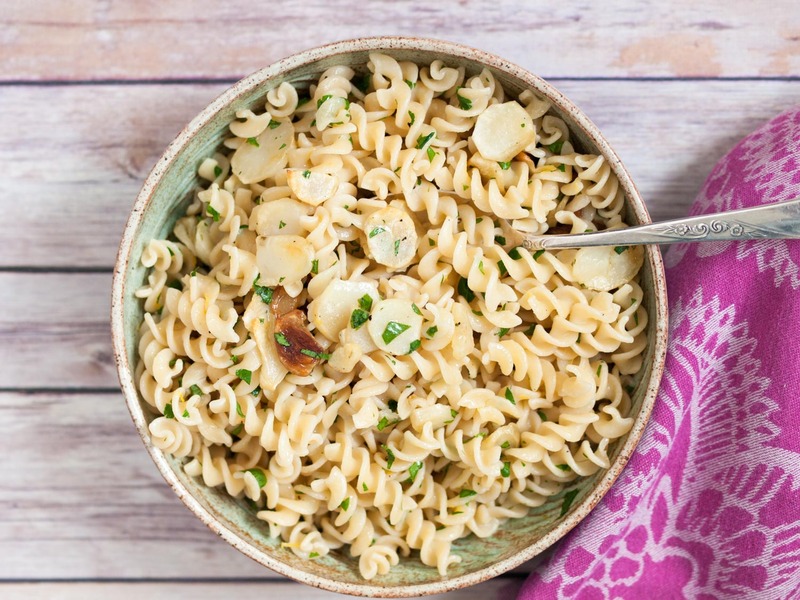 Combine with pasta, drizzle with a bit more olive oil, and top with pine nuts (if using). This entry was posted in Mains and tagged vegan, vegetarian on January 24, 2016 by Sarah. I first tried sunchokes at a restaurant. They were in a salad: raw, sliced thin, with escarole and lots of lemon and salt and pepper. I don’t remember much else about the salad– I think it was pretty straightforward– other than that it was delicious, and that I was bummed when it was taken off the menu. I sort of forgot about sunchokes until recently, when I tried them again at the farmers’ market. A seller was offering samples of the vegetable– small chunks sautéed with fresh turmeric and some kind of herb which I forget (sage maybe?). I decided to buy a bag and bring it home to the fridge, where it sat and sat. And sat. Weeks later–after the holiday madness– I pulled out the bag and hesitantly inspected the tubers, which, to my surprise and delight, looked exactly the same as when I had bought them. Which is to say, like funky little ginger potato hybrids. I wasn’t entirely sure as to how to prep them and while I remembered that the sunchoke I had sampled at the market was unpeeled, I decided I should probably do a little research. I’m glad I did. 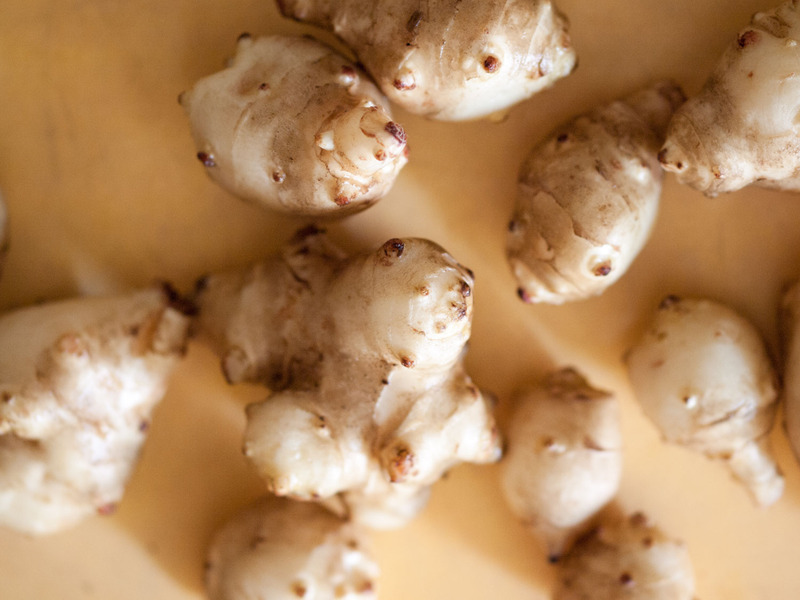 Yes, the skin is indeed technically edible, however, when I learned that the sunchoke, or Jerusalem artichoke, is also known as the “fartichoke,” I figured it best to err on the side of caution. After scrubbing the sunchokes, I peeled off the skin, rinsed them again (to remove even more excess starch– or at least that was the idea), then patted them dry. I roasted them until they were browned and a little crispy yet also meltingly tender. Served over pasta with lemon and parsley, they made for a very tasty, very gratifying dinner. In a bowl, toss sunchoke slices with 1 tbsp olive oil, some salt and pepper, and garlic. Spread evenly on prepared baking sheet. Let sunchokes roast for 30 to 40 minutes, stirring once halfway through, until lightly browned. Then remove from oven and drizzle with the lemon juice. 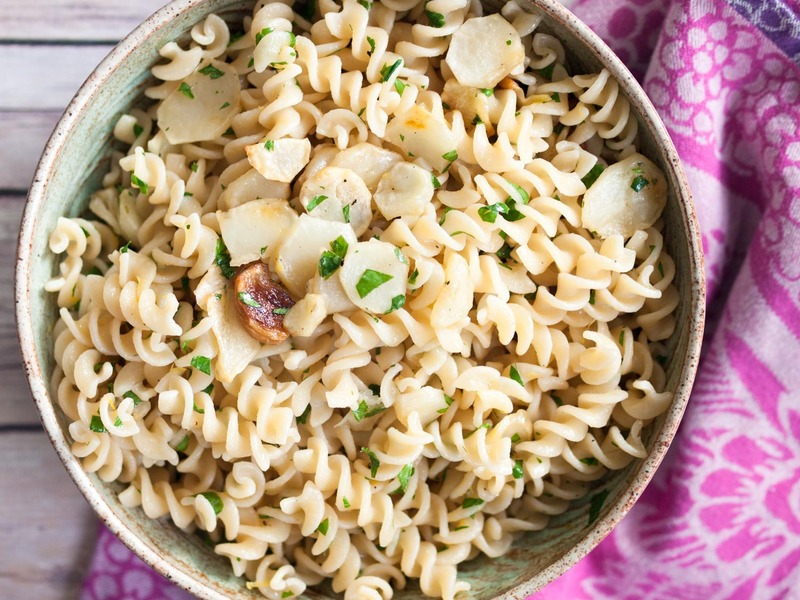 While sunchokes are roasting, cook pasta in salted water according to package directions. 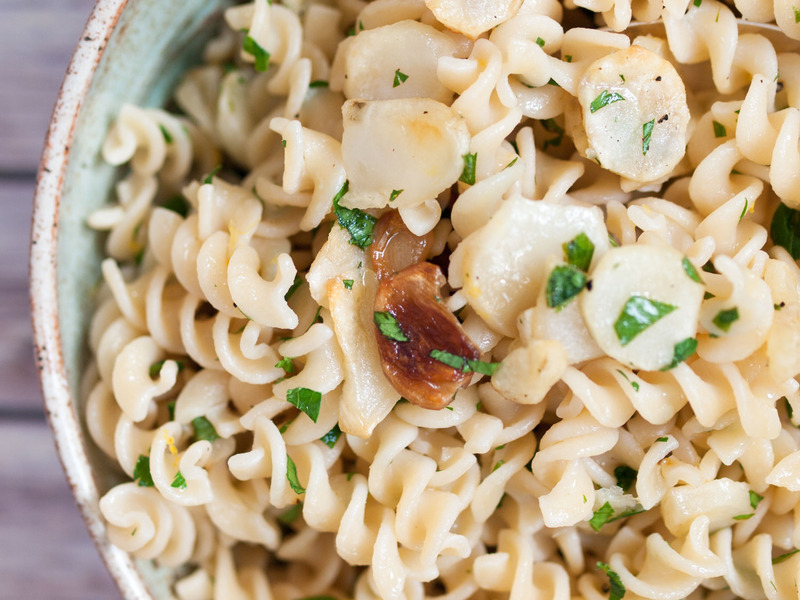 Combine the pasta and sunchokes, drizzle with a bit more olive oil, and sprinkle on the parsley and lemon zest. Taste for seasonings. This entry was posted in Mains and tagged vegan, vegetarian on January 11, 2016 by Sarah.